10 WAYS TO ORGANIZE YOUR DESK WITH WASHI TAPES | EASY DIY Ideas & Hacks! In this tutorial, I will show you 10 ways to organize your desk with washi tapes. Washi tape is a popular DIY item and these are affordable and easy to make ordinary things pretty without spending a lot of money. 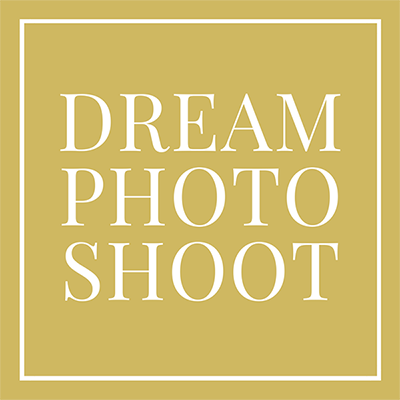 This tutorial can apply to anyone including high school students, a mom, and an entrepreneur who wants to organize your desk and the office with a tight budget. 1. Keyboard We updated a regular Mac keyboard into cute Kawaii one with washi tapes. You will never see these designs in the store and completely customizable. 2. Magazine Holder We made a DIY stylish magazine holder out of cereal boxes, craft paper, and gold washi tape. Recycle trashes into art. Good for your wallet and good for the earth. 3. Pencil case We made a DIY pencil case out of Ziplock and personalize the design with pink and gold washi tapes. It is perfect for school pencil case and it is also useful for makeup brushes and little accessory. These are simply the best since it is very easy to clean and comes in different sizes. 4. Accessory Cup I made a DIY accessory cup out of empty plastic bottles. Again, it is great to use some trashes to make some small container and stages to make your life easier. 5. Notebook We turned the regular borning notebook into a pretty personalized notebook with washi tapes. This DIY is perfect for going back to school items and you can change the designs anytime. 7. Bookmarks Bookmarks DIY is the simple and fabulous way to label and categorize your books and textbooks. We used the clip so it will stick wherever you want it to be. You can also write it down lists on each DIY bookmarks to keep things neat. 8. Feather Pen Ordinary black pens are cheap but it’s very boring. So made a DIY feather pen. All you need is the core ink and the masking tape of choice. I promise all of your friends will be jealous to have it. 9. Keys Are you one of those people have so many keys in your holder and don’t know which one is the right one. 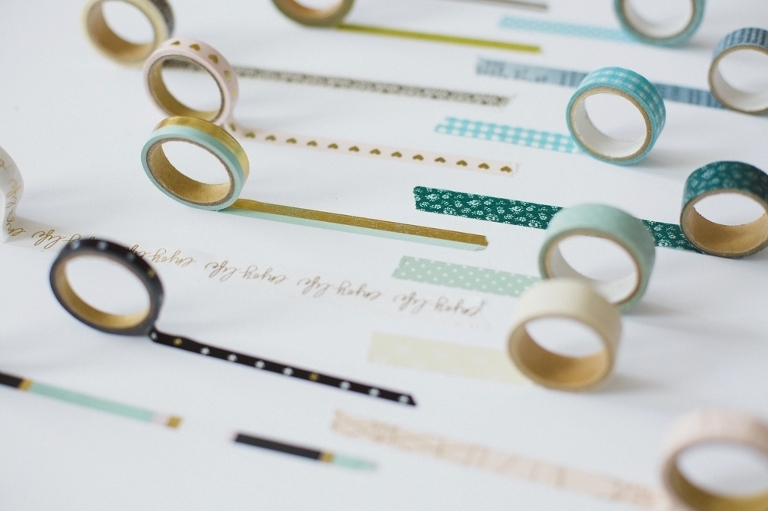 Washi tape DIY is the perfect way to customize each key to give its own personalities. 10. Plastic Tray We used the blueberry empty plastic tray to keep your hard drive and SD card neat on the desk. This is great not only covers off from the dust but each opening on the bottom part can be used to insert cord and headphones to keep things neat. We also used Washi tapes to made it pretty so that it is just not a see-through plastic. 11. Washi tape Holder I am a big fun of Washi tapes and I collected them endlessly. Empty Aluminium foil box is perfect DIY storage for these washi tapes not only because it’s perfect size but also it has a cutter in the box. 12. Clips Clips are used to be useful as many purposes to organize your desks. 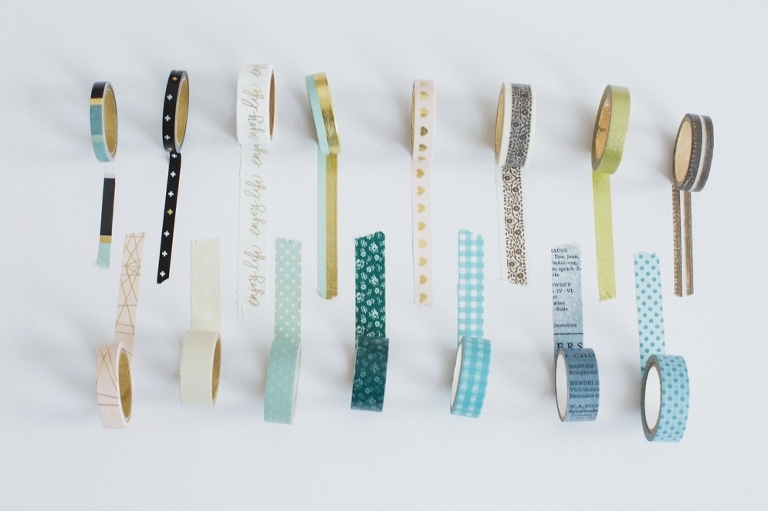 By using washi tapes, the clips can be personalized to make pretty DIY projects.